This year we like every year we look at ways to become more efficient. Recycling as much as possible, turning off lights, neither heating nor air conditioning our warehouse – which admittedly can become a little uncomfortable and trying to find as many ways as possible to conserve and save. Not just because it is good for the environment but because it is fiscally responsible allowing us to provide our customers better value. Earth day is a great reminder to review our company environmental policy. To our contractors and small businesses that we distribute to, please take the time if not today but Monday to review your own policy. Even just a simple sticky on the light switch saying “turn me off” or if the office hours are 9am to 5pm have them automatically turn off at 5:30pm. Every bit helps. 1.5″ x 3″ Brick Metal Mosaic Tile from The Builder Depot used as a feature backsplash in this Peter Rose Architecture designed kitchen. 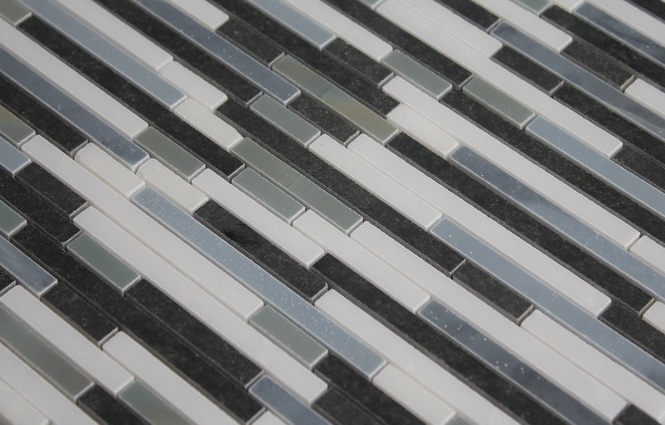 Although it is only $14.95SF this premium mosaic is used in the finest of residences throughout North America. Continuing our review of The Builder Depot products highlighted on the web we say thank you to Houzz.com and Peter Rose Architecture and Interiors for posting the picture. Wonderful work and not just this and the use of our product as a backslash but all the other incredible work by this Archicture firm. 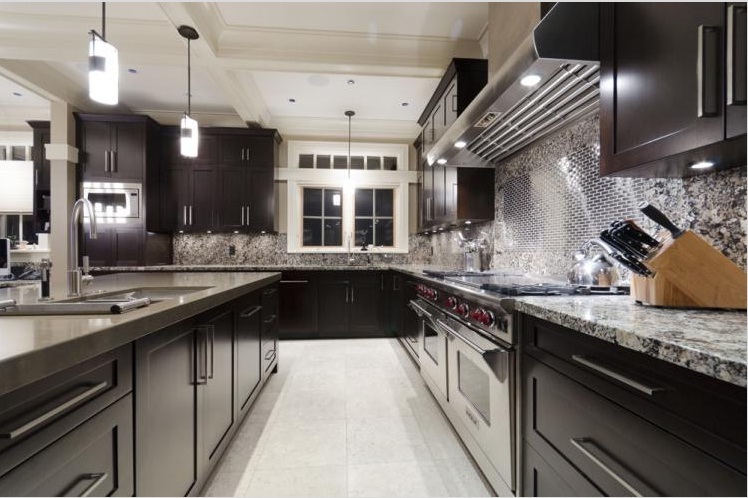 It makes us proud that our metal mosaic was selected to be used as one of the key decorative features in this kitchen. 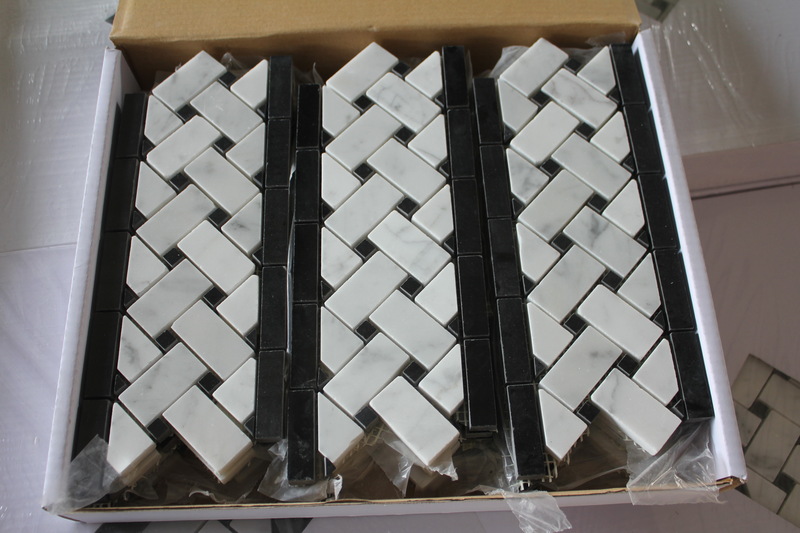 Of course the size 1.5″ x 3″ is not typical many other suppliers offer a 1×2″ brick metal mosaic. We decided (and are the only company to offer) on the 1.5″ x 3″ brick metal to create a slightly cleaner less busy look and it is nice to see consumers and designers in agreement. Thank you to Peter Rose for taking the time to specify our product on the picture used in the installation click here to see. 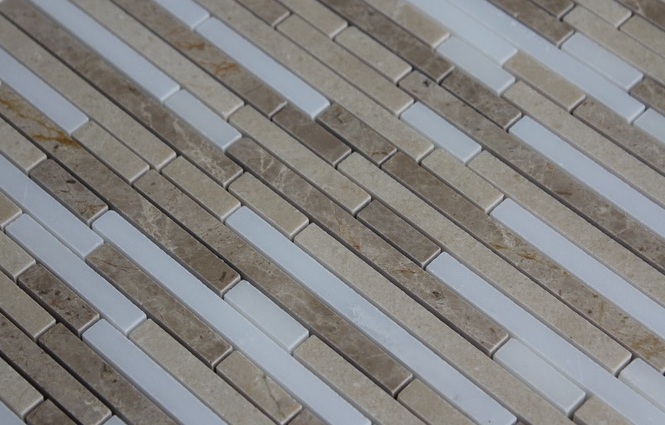 This product happily retails for $40-$50 a square foot in boutique Tile & Stone retailers. The uniqueness of its format commanding the highest of prices. The reality is if you remove all these boutique costs thebuilderdepot.com can sell premium metal mosaics for under $15 square foot. 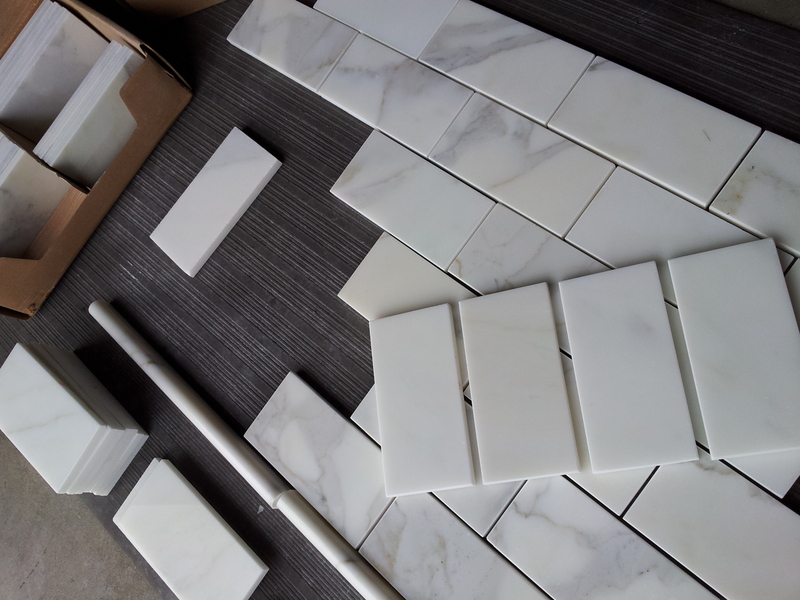 When installing a small area with Calacatta 3×6″ polished subway tile you need to layout the tile prior to installation. You can use the white blanks to create a less veined whiter appearance or vice versa. Here is an example of blanks from a box. If you remove the heavier veining or add you can end up with a look that is perfect. This is the difference with Calacatta to Carrara it takes a bit more time to create the design. It is a puzzle. 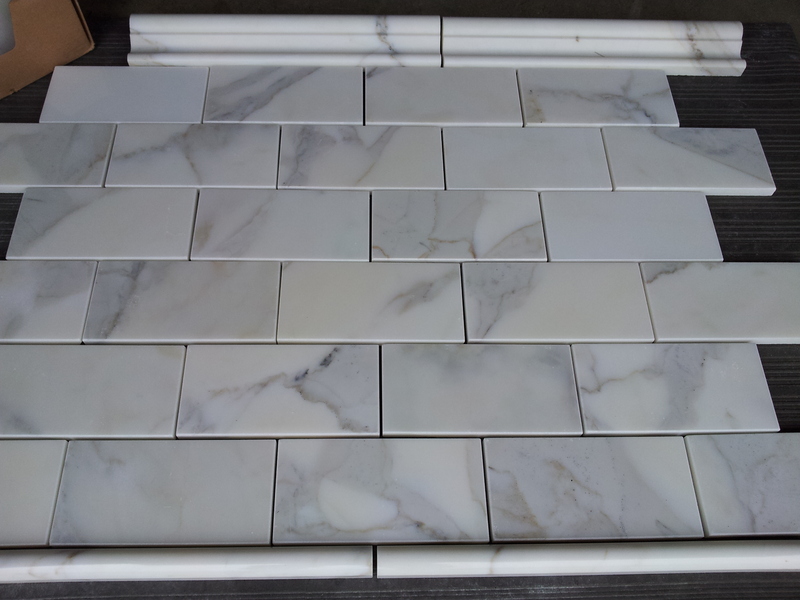 The advantage of our Calacatta 3×6″ subway tile is that it costs considerably less. 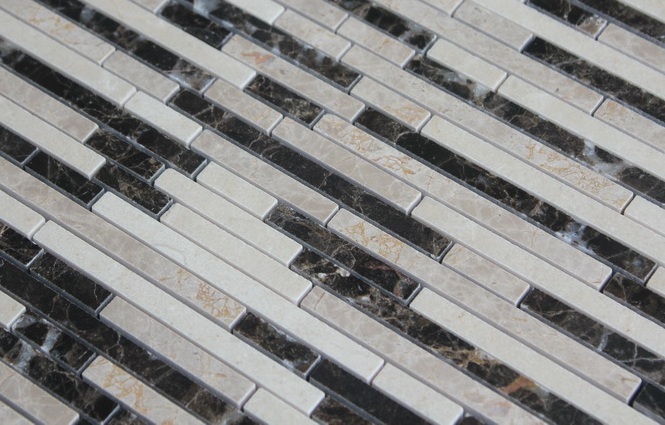 You can afford to buy an extra 15% and then create the look you want by discarding or adding tiles. 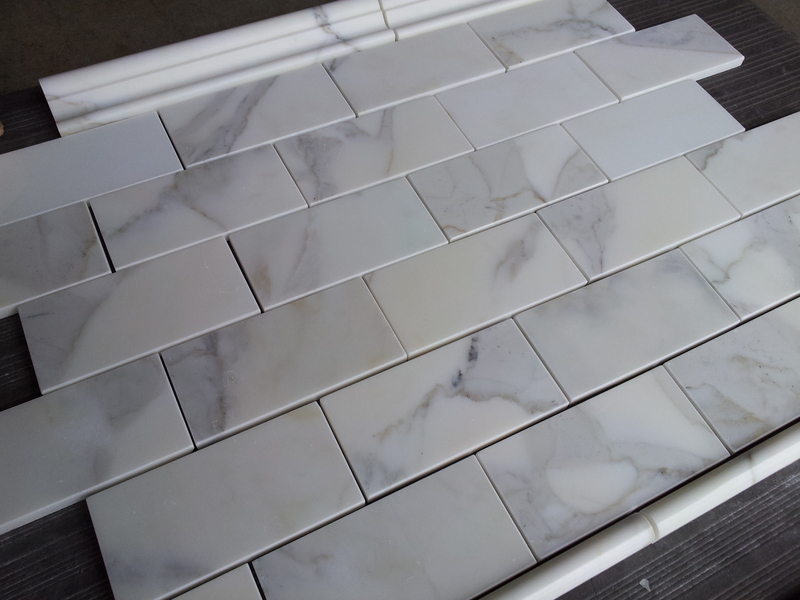 When Calacatta 3×6″ Subway Tile is correctly laid out and installed there is no better marble. 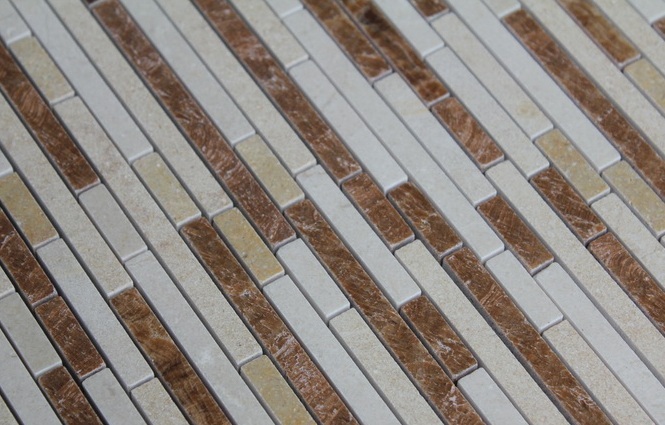 It is one of the most sought after natural stone products in the world. It adorns some of the most exquisite buildings throughout history. You can see why. 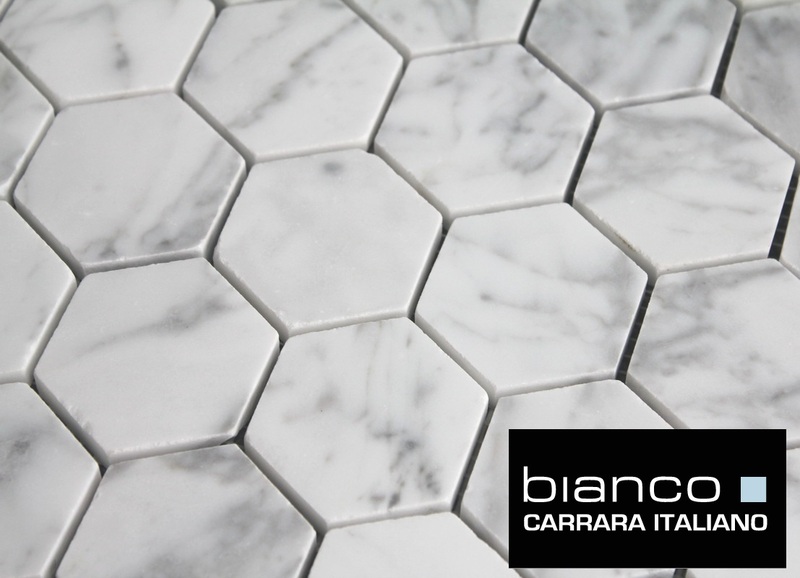 It has dramatic and captivating veining along the subtlety of a softer whiter base when compared to its Carrara cousin. A builder and developer favorite and one we constantly run out of stock on (just for short periods while we wait fo the next container to arrive). At just $10.87SF (making us the most afforable oline supplier of genuine Italian marble) builders buy this product up in great amounts. Some have no intnetion of installing for months they just want to know when it comes time they have it. It is our high standards in regards to the block selection from Itlay, not just any old block will do – so this limits our availability of raw material. 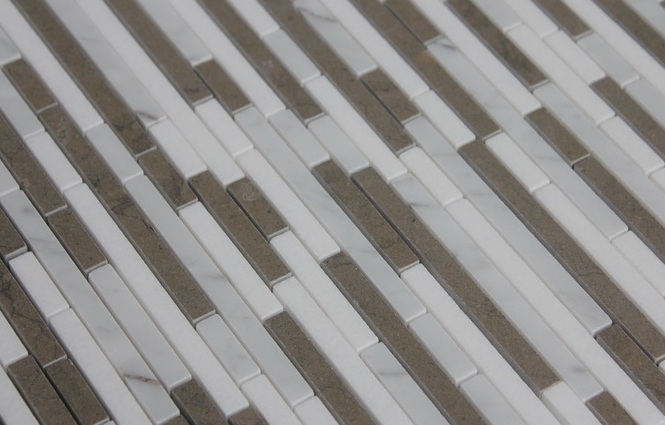 Carrara marble basketweave border mosaic tile is one of our most popular borders for our Carrara collections. We have been out of stock for a few months – however May (next month) we will have a inventory of this product. We are always asked – why do you not just buy 5 pallets of this and then you would be able to always have stock. 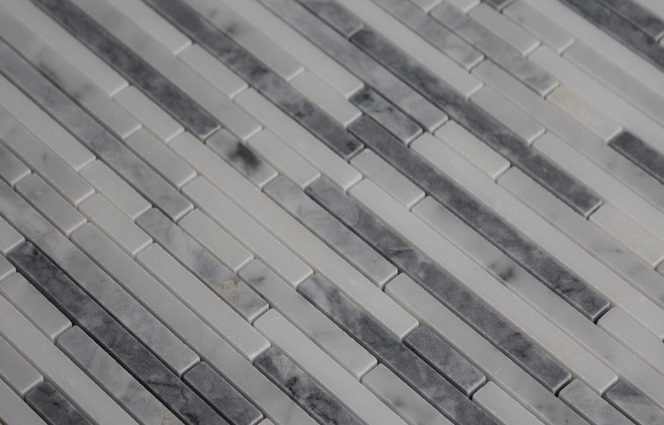 Quite simply while there is 5 pallets of Carrara we could get to turn into Basketweave borders, there is not 5 good pallets that we want to use of one trim. It all comes back to the same argument. Getting Carrara is easy, getting “good” Carrara is not and that is simply the reason why we cannot have hundreds of pallets of Carrara in stock and the main reason we run out. We hold ourselves to a higher standard and sometimes we cannot get a quality of blocks from Italy we want. If we cannot get premium quality blocks of Carrara we cannot make products for our collection and this is the reason for the interruption from time to time.